Well it is December 1st and the Christmas holiday season is officially upon us. We are starting the celebrations on our website early with a gift with purchase for all our customers and readers! Starting today and for the whole month of December, whenever you spend over $100.00 in our store, you get a FREE surprise gift! This is a token of our appreciation for your business. The items will either be a jewelry piece or beautiful scarf and you can either choose to keep it for yourself or gift it to someone else for the holidays. For today’s look, I am combining a few luxurious materials for you that are all perfect to wear during the holiday season. 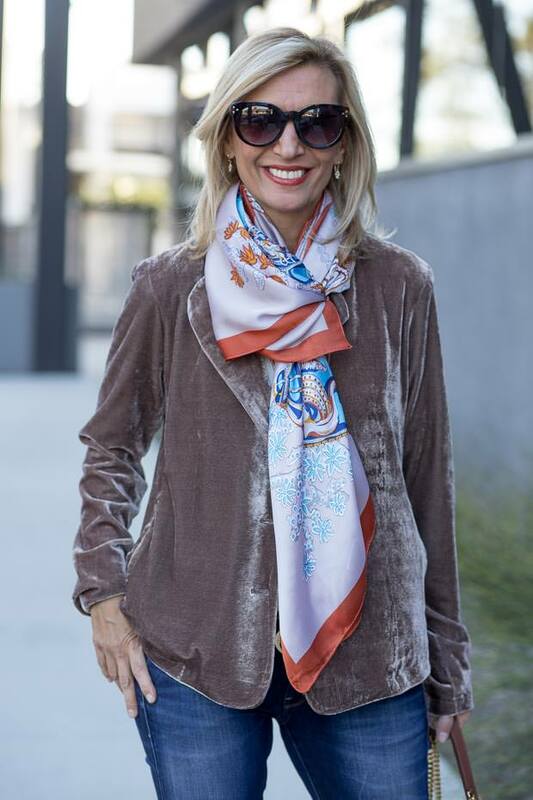 I started off with our Mocha Velvet Jacket which is a beautiful velvet jacket with a fun floral lining. I am wearing the jacket with our Ivory Mock Neck Long Sleeve Top which is made out of a super soft rayon modal lycra that you will love. It is a great basic layering item to wear instead of your V-neck or Round-neck tops when it is cold. I wore both pieces with my skinny jeans. For a second outerwear option, I chose our Taupe Faux Fur High Low Vest with the same mock neck top and jeans. Both outerwear pieces are similar shades of taupe and they look great with the ivory top and denim jeans. However they can work with variety of colors as well. 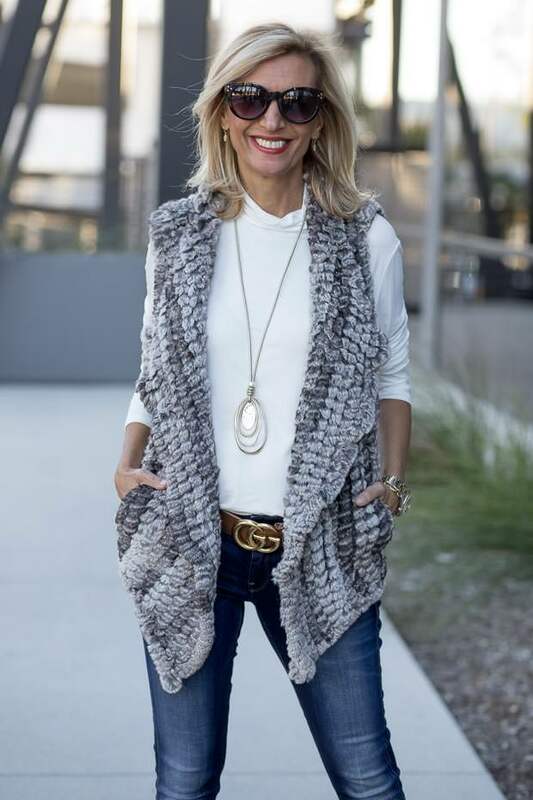 The Faux Fur vest is a super fun piece and it is a warm and cozy piece for fall/winter. For accessories, I have a brand new, beautiful large silk scarf for you guys that is inspired by a Hermes scarves. It is made out of 100% silk and printed in beautiful colors that include taupe, rust and turquoise. You can wear it in many ways around your neck or even tie it to your bag. 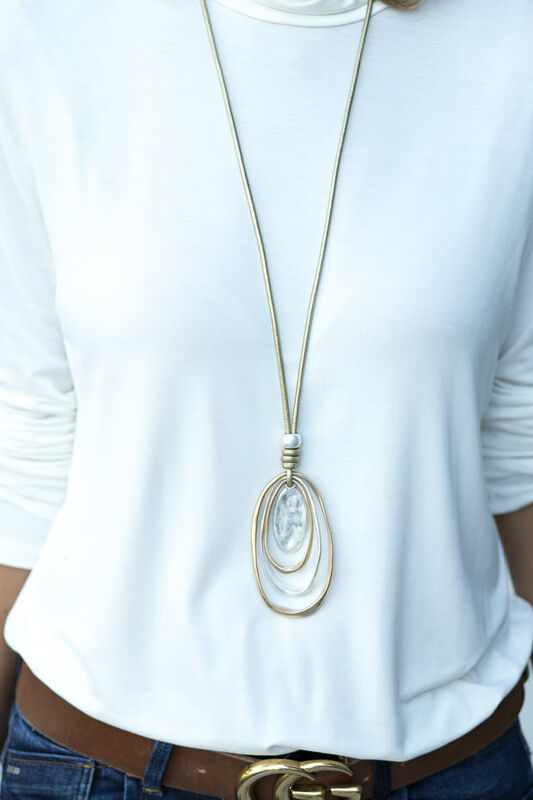 For jewelry I added our new Gold Leather String Necklace with Gold and Silver Oval Shapes, which is a beautiful all-around necklace that you can wear with many outfits. I also added a brand new bracelet, our Gold Tone Chain Bracelet with Love Charms which is super cute, and it will make a perfect gift to yourself or a loved one. All 6 pieces I am showing you today are part of our Weekend Flash Sale USE CODE: FS121 at Checkout to receive 15% off ALL these featured items & A FREE Gift if you spend over $100 plus Free US Shipping. All international shipments are a flat rate of $25.00. That vest looks stunning! I ll bet it also looks great on a dress. The accessories are very pretty too! Both pieces are amazing Nora!! Velvet is always so luxurious looking!! These outfits are so chic, Nora!! I love how you showed the different pieces in various combinations. That scarf is also really pretty. Thanks for joining today’s Thursday Moda Linkup, and I hope you have a great rest of your day!